The Call of Duty franchise is no doubt one of the best known in gaming, and it’s clear that Activision’s games have a passionate following. These are some of the best military shooters ever made after all, even if not all fans have been delighted by the fact that the series has been pushing further and further into sci-fi territory every year. So many Call of Duty fans will be delighted to hear that Call of Duty 3 is now backwards compatible on the Xbox One. This was a pretty good entry in the series back in 2006, and was set during World War II, which may please players not so fond of the sci-fi bent of modern Call of Duty offerings. 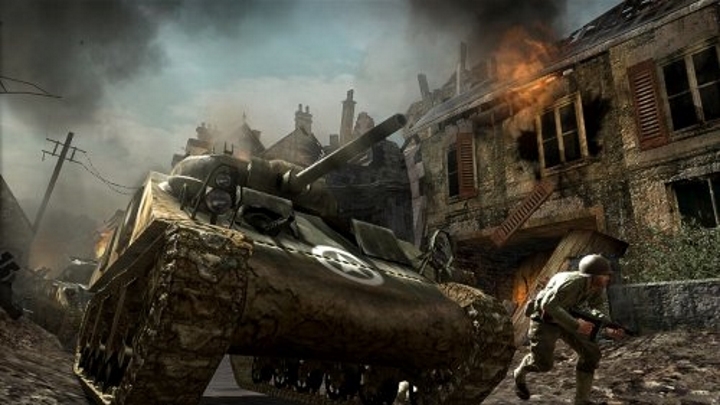 This game took place after D-Day (which was one of the best set pieces of the original Call of Duty game), and focused on the allied campaign to liberate French territory from German occupation. Call of Duty 3 was a pretty solid and entertaining game overall, even if some aspects of it (like the poor design of some of the levels) were not so great. But still, this is one good entry in the series that is now playable on the Xbox One, joining both the earlier Call of Duty 2 and the more recent Call of Duty: Black Ops. Those who already own the game on the Xbox 360 will see it appear in their game library, but Call of Duty 3 can also be purchased on xbox.com or on other online retailers like Amazon. Aside from the Call of Duty games, plenty of other old Xbox 360 titles can now be played on the Xbox One, including classics like Assassin’s Creed II and Red Dead Redemption, in what clearly is one of the most appealing features of Microsoft’s console which is letting players enjoy golden oldies from the Xbox 360 era again.